Gary King, the Albert J. Weatherhead III University Professor, has co-authored a new study that uncovers flawed forecasts by the Social Security Administration. “Pretty much everybody who evaluates Social Security realizes there’s a problem ... But the system is in significantly worse shape than their forecasts are indicating," King said. A new study has found that the financial health of Social Security, the program that millions of Americans have relied on for decades as a crucial part of their income, has been dramatically overstated. 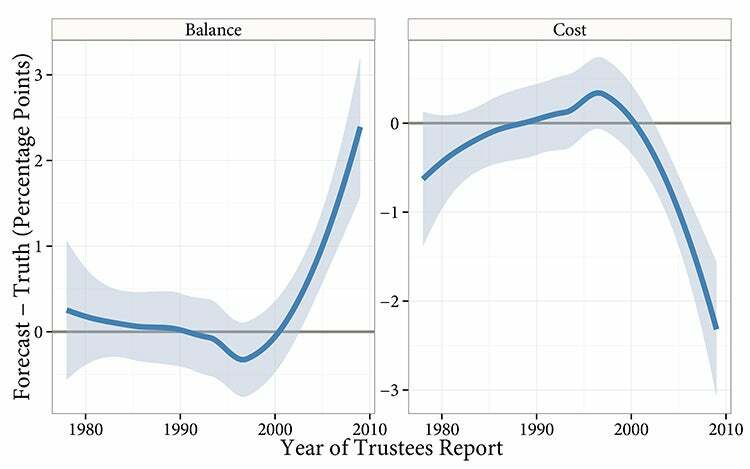 The study compared all forecasts made by the Social Security Administration over the 80-year history of the program with its actual outcome, and found that its forecasts of the health of Social Security trust funds have become increasingly biased since 2000. Current forecasts are likely off by billions of dollars, and the program could be insolvent earlier than expected unless legislators act, the study found. The study, which appears Friday in the Journal of Economic Perspectives, was co-authored by Gary King, the Albert J. Weatherhead III University Professor at Harvard University; Konstantin Kashin, a Ph.D. student at Harvard’s Institute for Quantitative Social Science; and Samir Soneji, an assistant professor at the Dartmouth Institute for Health Policy & Clinical Practice. In a second paper, published on the same day in Political Analysis, the Harvard-Dartmouth team points to antiquated, ad hoc methods for creating the forecasts as the cause for the growing bias. They suggest that otherwise laudable efforts to insulate the forecasts from political influence have resulted, somewhat ironically, in insulating the process from data that could improve their accuracy. “The bias in their forecasts results in a picture that’s rosier than it really is,” King said. “They’re not saying the system is in good health. Pretty much everybody who evaluates Social Security realizes there’s a problem … But the system is in significantly worse shape than their forecasts are indicating. While forecasting the health of the Social Security trust funds has long been part of the program — each year, the administration creates forecasts that look one, five, 10, 20, and even 75 years into the future — the study conducted by the Harvard-Dartmouth team is the first by anyone inside or outside of the government to evaluate their accuracy. What they found, King said, was that while forecasts were never perfect, they were largely unbiased for quite some time. Over the last decade and a half, however, those course corrections weren’t made, and the gap between the forecasts and reality has grown steadily. To understand just how wide that gap is, King said, it’s necessary to understand the other key role played by Social Security auditors: evaluating legislation related to the program. 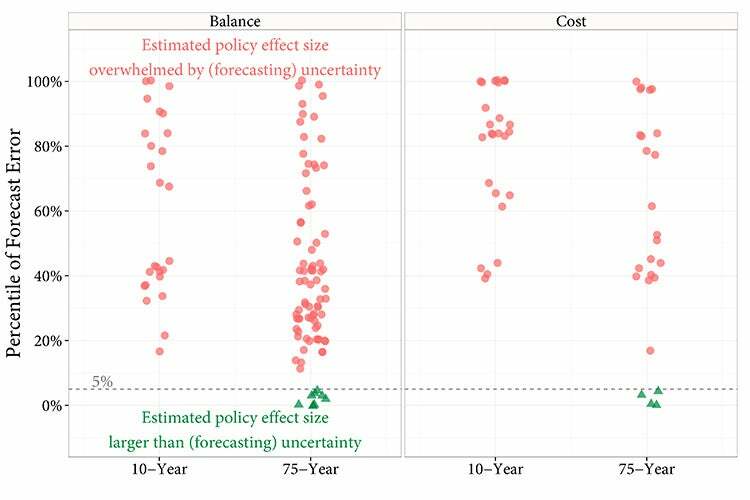 But when King, Kashin, and Soneji collected every policy score from the past several decades and compared them to the forecasting bias, the result was troubling. While there is benefit to Democrats and Republicans coming together to debate how best to reform the Social Security system, King said the simple step of making the data used in the forecasts public would dramatically improve them, and provide the parties with a more solid foundation upon which to have that debate. While the evidence points to increasing bias in the forecasts produced by the Social Security Administration, it still begs the question of why the forecasts have been skewed in one direction versus another. Ironically, King said, it may be the result of Social Security auditors doing just what the public might want them to do and insulating themselves from the contentious political questions that swirl around the program. Among the keys to improving the forecasts, King said, will be bringing the forecasting process into the 21st century. In the wider world, the revolution in big data, data science, and statistical methodology of the past several decades has deeply transformed how forecasts are generated, yet relatively little of that progress has been utilized by the Social Security Administration. Ideally, King said, the process should be automated where possible, with humans stepping in when they can add value. As it stands today, with many people making hundreds of informal decisions, the process is rife with procedures that social psychologists have demonstrated can lead to inadvertent biases, no matter how hard individuals try to avoid them. To avoid such problems, King said, the Social Security Administration needs to do two things: develop a formalized, replicable approach to generating forecasts that automates the process as much as possible; and work with social psychologists and other experts to ensure that, when humans do enter the process, their inherent biases are controlled as much as possible. “For example, one thing they do is forecast mortality rates by age,” King said. “We know that mortality rates are lower for a 60-year-old than an 80-year-old. But that’s just one of 200-plus parameters they have to consider in these forecasts. One person can’t remember what those 200 parameters are, much less what their relationships are, all at the same time. No matter what reforms are put in place, King said, it’s important to understand that the forecasting process will never be foolproof. Ultimately, however, taking steps to improve the forecasts can’t keep Social Security from becoming insolvent. The debate over how to keep the program afloat must be left to the nation’s elected representatives. But by improving the forecasting process, King said, it is possible to ensure that debate is informed by facts. Buddhist ministers in the Western world are going out and working in hospitals and prisons with people who are not exclusively Buddhist. That can lead to a generalization or abstraction of certain types of practices such as mindfulness and compassion, said Harvard Professor Janet Gyatso (at podium). Cheryl Giles (right), lecturer on pastoral care and counseling, later talked about her transition from being a Roman Catholic to a practitioner of Buddhism.